Peter Troast Interview Energy Circle Founder/CEO Greetings PlanetSavers, This week we'll be interviewing Peter Troast, Founder/CEO of EnergyCircle.com specializing in information about air sealing, insulation, indoor air quality, and home energy audits, as well as product reviews and information about the latest in energy efficient lighting, energy monitoring... Peter's passion for energy efficiency began in the 1980's read more. 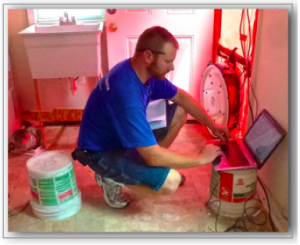 Through EnergyCircle he offers three main services: Finding a Pro: Directory of local home energy professionals. 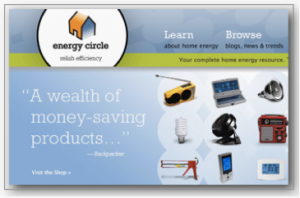 Energy Circle PRO: Marketing for energy efficiency professionals including website design and hosting. Online Store: Money saving products and information you can trust. Join us for a chance to pick the brain of...Continue Reading! 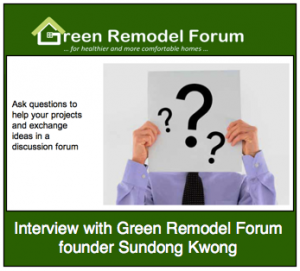 Green Remodel Forum Interview With Founder This Tuesday I'll be interviewing Sundong Kwong, the Founder of Green Remodel Forum. An fellow crusader and core GEE member, we'll explore her vision and site. A former school teacher, she began her energy wise journey by renovating her own home. Sundong will share her personal experience and expertise from recent expos she's attended to helpful products. A frequent blogger, GRF article categories include Energy Efficiency and Healthy Homes, Renewable Energy and Sustainability. She also author's a free newsletter for those interested in subscribing. A member of the US Green Building Council, Passive House California, Green America, Sundong...Continue Reading! DOE-IBACOS-GEE Dry/Hot Climate Test House Results Greetings PlanetSavers, Almost two years ago we embarked on what became a DOE-IBACOS-GEE joint project to exactingly test certain energy features modeling a dry and hot climate. This Fresno project, along with our Round Hill VA cold/wet test house represent the deepening interest in energy wise residential remodels in light of the flood of foreclosed and previously owned homes on the market. 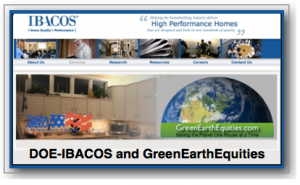 Once GEE's Energy Package was completed IBACOS began managing and monitoring the local test under agreement with the Department of Energy’s “Building America” program. The one to three year long collection of data is being done via...Continue Reading! 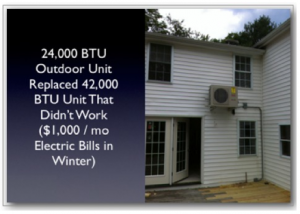 Citrus Heights CA Project Net-Zero Energy & Water Demonstration Home Greetings PlanetSavers, Tuesday night's webinar will feature our own Jack Frost's Net-Zero Energy and Water Demonstration Home Project. The plans include an Energy Wise Renovation of the primary structure with the addition of a smaller new constructed dwelling. Jack hopes this will be the 3rd GEE-Department of Energy test joint venture. Matt Piner, a LEED Architect has detailed several water conservation features and we also plan to include an electric car charging station. Phil Barnes will be adding a "scope of work" to cover the traditional GEE renovation including the shell seal, duct seal, extra insulation...Continue Reading! NREL: Initial Data 13 Cedar Hybrid Mini-Split System (Hybrid = Partly Ducted, Partly Ductless) Greetings PlanetSavers, Tonight we will look at the initial results of 15 days of hot weather in the Cedar St. Lab House. NREL is monitoring this project and has kindly provided us with loads (overloads, actually) of data. We have the mountain of data distilled down into some useful charts and graphs and for you "Bottom Liners" we have the total cost of cooling extrapolated. 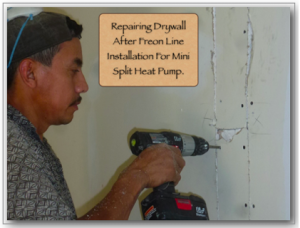 We will analyze what installation factors affect the results we see. Like duct sizing to each room and how that shows up in temperature differentials. This...Continue Reading! 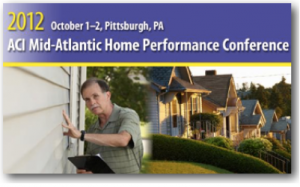 Affordable Comfort Institute Mid Atlantic Conference Review Greetings PlanetSavers, As some of you may recall I was a scheduled speaker at this week's Affordable Comfort Institute's Mid Atlantic Conference. After three presentations I've been enjoy attending other workshops, talking with industry leaders and basically getting the pulse of what's new and exciting in energy wise renovation and construction. I'll be on the road from Pittsburgh shortly and look forward to reviewing the conference with anyone who either attended or wished they had. To download this Webex presentation click here. To watch this audio/video presentation you’ll need to install the FREE Webex .ARF Player for either Windows or...Continue Reading! Can This House Be Saved? 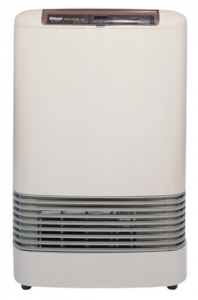 Part 3: Windows and Ductless HVAC Greetings PlanetSavers, Join us we'll conitnue our "Can This House Be Saved?" series. Our thanks to Evan Hurd for sharing his green renovation project with us (click here if you have a project to submit for review). Going over the plans has given us all good food for thought. Given the mild Pacific Palisades CA climate and two story floor plan, I've been thinking a single point heat source downstairs would be me choice. Love to hear your suggestions. Of course, this will only work after the radical shell improvements we've been discussing. There are two...Continue Reading! Can This House Be Saved? 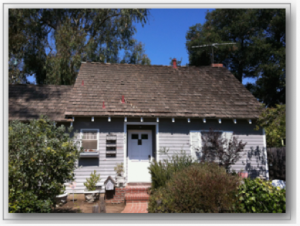 Part 2 Pacific Palisades CA Property Greetings PlanetSavers, Last Tuesday we had a great webinar interview with Evan Hurd regarding his plans for energy renovation and expansion of a residential property in Pacific Palisades CA. Evan provided so much information we decided to take our time sorting through various choices focusing around shell sealing the current and coming rooms and additions. 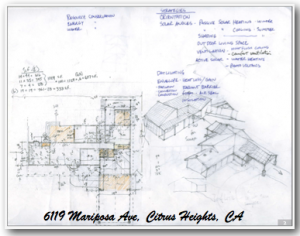 This Tuesday night we'll pick up with detail discussion of roofing and HVAC options. We'll also be taking an in depth look at window concerns including energy wise product selection, placement and possible window elimination to reduce expense and...Continue Reading!